Happy, happy New Year…sorry for the light posts lately, but we’ve been madly prepping for a New Year’s Day party to celebrate Millie’s birthday. 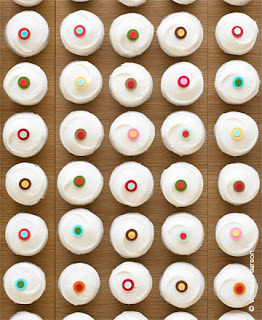 The day’s shaping up to revolve around a large pot of white bean chicken chili, bloody marys, football viewing, and (because it is after all a one-year-old’s birthday party) an obscene amount of Sprinkles cupcakes. Happy Birthday Millie - hope you have a great day eating chili and watching football!! Happy New Years to you guys! that was a great way to spend it...they have the most amazing cupcakes.